Apple Inc. quietly updated its iPad retail lineup March 18 by swapping out the iPad 2 for the fourth-generation iPad with Retina Display, selling it as the second-tier iPad option in Canada and the U.S. for $399. The iPad with Retina Display features a Lightening connector, eliminating Apple’s old 30-pin connector entirely from its hardware lineup on the market. It boasts twice the CPU power as the iPad 2, four times the GPU performance and has a little bit more bulk and heft to it. The iPad with Retina Display disappeared from the market when Apple debuted the iPad Air last year, but now it’s 16 GB model has been brought back to appeal to those in the market for an iPad, but not willing to shell out the $519 for the latest model. The cost difference is even more pronounced in Canada versus the U.S., where the 16 GB iPad Air is sold for $499. If the iPad with Retina Display appeals to you enough to pick it up with a $399 price tag, then perhaps you’re replacing a first generation iPad or an iPad 2. If you’re wondering what you’d do with the extra tablet, here’s some options. Wishing you had a sleek, expensive touchscreen monitor? You can turn your old iPad into just such a monitor by using a simple app and a Wi-Fi connection. The $10 Air Display works with a free desktop client (available for both PC and Mac) over a Wi-Fi network to turn your iPad into a second (or third, or fourth) monitor. Air Display is easy to set up: Just install the desktop client, install the iPad app, and connect them to the same Wi-Fi network. You can then right-click on the Air Display icon in the system tray and select your iPad to connect it to your computer. Air Display acts just as a second monitor does–you can adjust the position in the Display Settings menu, and mirror the desktop–and you can still tap-to-click using the iPad’s touchscreen. Who needs a fancy built-in infotainment system when you have an old iPad sitting around? You have two ways to mount your iPad in your car: You can mount it in the front, where the driver can access it and use it to look up addresses, play music, and watch streaming video (not that you should be doing that while you’re driving), or you can mount it in the back so that passengers can watch videos or play games. If you want to mount it in the front, consider investing in a car mount from RAM Mounts. RAM has assorted mounts that attach to various parts of your car–the windshield, the seat rail, or the passenger seat, for example–depending on where you want the iPad to be. 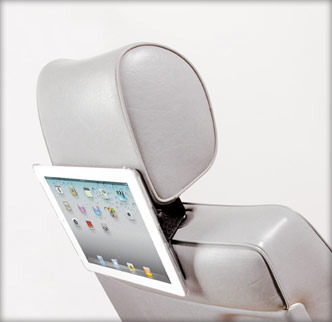 If you want to mount your iPad on the back of a seat, consider picking up ModulR’s Car Headrest Strap. This strap attaches to ModulR’s iPad 1 or iPad 2 case and locks around the headrest so that your kids can enjoy video, games, or other entertainment apps. If you’re looking for something even more integrated, you can have your iPad professionally installed in your car’s dashboard, though this procedure will cost you quite a bit more than a strap accessory. Kids and cats love iPads. Child-proof your tablet by enclosing it in a drop-proof case (preferably one that also has a screen cover), erasing all of your personal information (the last thing you want is your toddler accidentally sending email to your work clients), and downloading some kid-friendly apps, and then let your little ones go wild. Remember to enable the iPad’s parental controls to prevent your children from accessing things you don’t want them to access. We bet you can come up with plenty of fun games for your kids, but check out Bartleby’s Book of Buttons ($1), PBS Kids Video (free), Finding Nemo: My Puzzle Book ($2), and The Incredible Machine ($3). If you have cats instead of kids, try Game for Cats, Cat Toy, and Pocket Pond HD, all of which are free. For maximum durability and continued entertainment, invest in a good iPad screen protector that can stand up to plenty of pawing and the occasional claw. You might not know that the iPad has a built-in ability to serve as a digital picture frame. All you have to do is go to the lock screen and tap the flower icon next to the ‘Slide to unlock’ control. Your iPad will enter picture frame mode, displaying photos from your albums. By going to Settings > Picture Frame, you can change transitions, determine how long each photo should display, shuffle the order of the photos, choose which albums to show pictures from, and indicate whether the iPad should zoom in on faces in photos automatically. Prop your old iPad on a shelf with a classy case, and your guests will marvel at your creativity. To turn off the picture frame function, go to Settings > General > Passcode Lock and slide the Picture Frame toggle to Off. E-readers, such as the Amazon Kindle or the Barnes & Noble Nook, are awesome if you’re seeking to replace physical books with digital versions. However, while electronic-ink screens look cool and are easy on the eyes, they aren’t always ideal for every situation–for example, when you want to read a vibrant, colorful magazine in all its eye-popping printed glory. The iPad is especially useful as a reading device in situations where turning the page isn’t always an easy thing to do, such as when you’re running on the treadmill at the gym. Unlike a paper magazine, an iPad fits neatly on a treadmill or elliptical stand, and doesn’t require page-flipping. 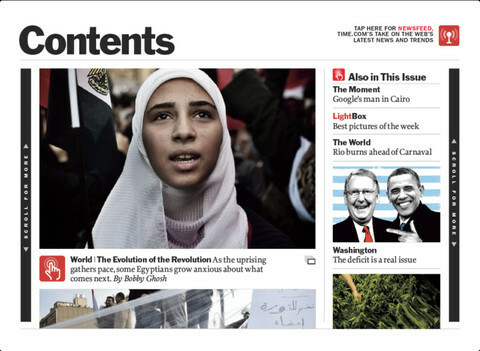 Many magazines offer tablet editions with extra features or content. Just download a magazine app–some magazines have stand-alone apps, while others are available on Zinio, which is sort of like a digital newsstand. The good news: Many magazines with stand-alone iPad apps, such as The New Yorker and Self, let print subscribers access the digital editions for free. If you’ve always dreamed of controlling everything in your household from your iPad, you’re in luck–you can use a universal remote control app such as iRule to control just about anything in your house that can be controlled. iRule, which starts at $50, lets you control everything from your home entertainment system to your lights, shades, and garage door, using an iPad, a Wi-Fi network, and some specially designed hardware that converts Wi-Fi signals into various types of control (such as infrared, which controls your home entertainment system). Of course, iRule isn’t the only universal control system out there. You’ll also find MobiLinc HD, which lets you control devices such as your thermostat, lights, and keypads remotely. You may have also heard about the fancy new Nest Learning Thermostat; this energy-saving thermostat gives you control via your iPhone, iPad, or Mac. Tablets are great in the kitchen: They’re like high-tech recipe books with built-in timers, easy-to-check conversion charts, and the power of the Internet. You can turn your old iPad into a dedicated kitchen tablet by slipping it into a protective cover, or mounting it on a wall or a cabinet, and downloading all your favorite cooking apps. 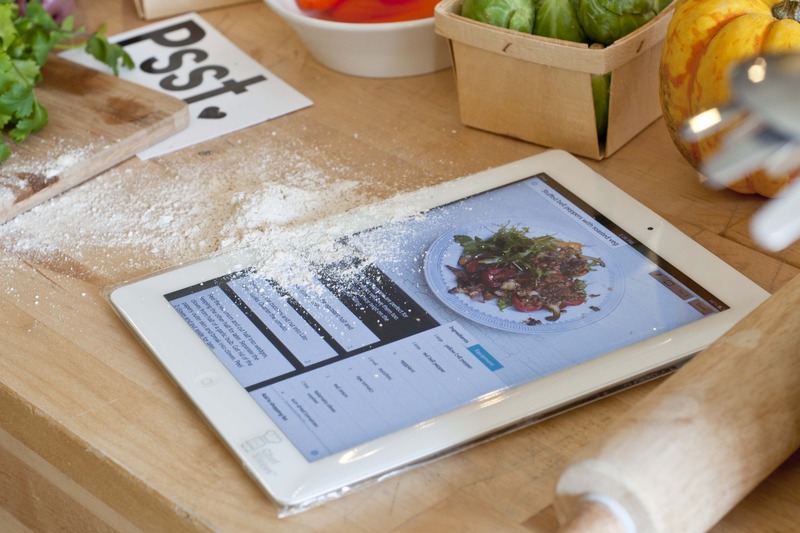 An old iPad is especially great as a dedicated kitchen computer because you can easily swipe through information without having to fumble with cookbooks or scraps of paper–just be sure to invest in a good screen protector, or else you’ll end up smearing your screen with flour and butter. With a good screen protector and a few smart apps, your old iPad makes a great kitchen companion. Cooking apps worth downloading include: Allrecipes (free), Martha Stewart Cookies ($5), iCookbook ($5), The Photo Cookbook ($5), and Jamie’s Recipes (free). You can use your old iPad as a high-tech message board to keep track of your family members and coordinate schedules. Sticky Notes for iPad is a fantastic free app for leaving household notes. Consider placing the iPad on a table near the front door, or mounting it to the wall. Determine what kind of notice board you want it to be. Should family members leave notes for one another? 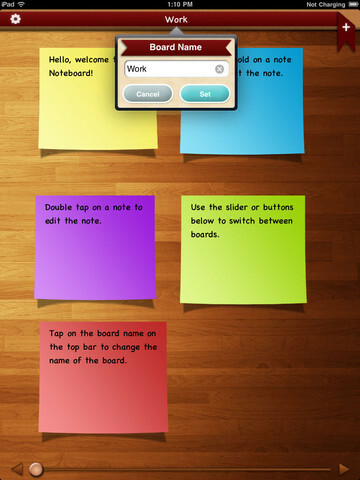 If so, download Sticky Notes for iPad (free) or Noteboard ($3), and people can write notes on different-colored pieces of “paper.” If you’d rather know your family members’ schedules, consider downloading a calendar app such as Pocket Informant HD ($15) or GoCal for Google Calendar HD ($3). The benefit of having a calendar app that integrates with Google Calendar is that when someone makes a change it can automatically sync with everyone else’s Google Calendar. You can also allow family members to leave video messages using the iPad 2’s built-in camera, ask your kids to use it to send you a text or email message when they get home, or just set it to display the weather so that everybody knows when they need to take an umbrella along as they leave the house. This easy yet creative Halloween costume requires two iPad 2s and a consistent Wi-Fi connection. Although this project may be infeasible for all but the most die-hard gadget nerds, it’s worth trying if you have the equipment. Grab an old shirt, and cut holes in the back and front. Spice up the holes with some fake blood (red paint), and then strap two iPad 2s to your body. Make sure to cut little holes for each iPad 2’s camera to peek through. Then, start a video chat between the two iPad 2s, and–voilà!–you look as if you have a gaping hole in your stomach! Since you’ll need a constant Wi-Fi connection (even if you can use FaceTime over 3G, do you really want to waste your data for this? ), it might be a good idea to bring a mobile hotspot to whatever happenin’ costume party you go to. You may also need to recharge the batteries throughout the night, so bring a charger or a portable battery. If you’d rather ditch your old iPad or iPad 2 instead of going to the trouble of repurposing the thing, it’s important that you not just toss the device into the trash. If you want to make some money, you can try selling your old iPad on eBay, Craigslist, or a trade-in site such as BuyBack World, BuyMyTronics, Gazelle, or Nextworth. If you’re not interested in getting cash, and if your old iPad still works (and is in decent condition), consider donating it. You can donate it to your local Salvation Army or Goodwill, or you can donate it through a buyback service such as Gazelle. When you donate your iPad via Gazelle, you can elect to send the proceeds directly to a charitable organization, or you can have Gazelle make the check out to an organization of your choice. Finally, you can always give your device back to Apple through its Reuse and Recycling Program. According to its website, Apple will give you $30 for a 16GB Wi-Fi-only original iPad that doesn’t work, has suffered water damage, has cracks and scratches, and carries a bad battery. Whatever you do, never throw away old gadgets when you can still get plenty of use (or cash) out of them. Good luck!